When I was little, I wanted to be many things. Doctor, Lawyer, concert pianist…the usual. 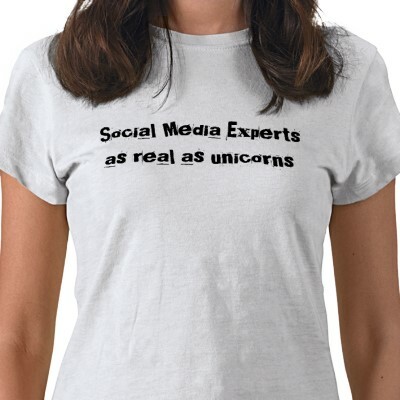 But, I never thought I’d be a social media strategist. Now that I’ve been at it for a while, I can say with confidence: it’s been a great career choice. I went to college to become an electrical engineer at UCSD. My logic was that my father and sister were both EE grads, and both seemed to have a good experience finding work. Unfortunately, after one year of trying that on for size, I realized EE and I were not to be (to know me is to understand why it’s pretty funny I even considered becoming an engineer). And so began my divergence from a path I thought would be so cut and clear: EE degree in 4 years, EE job in a big tech company, standard 9-5, steady income, many free company/conference t-shirts. Instead I graduated with a degree in management science (UCSD’s BSc for econ), and after a short stint in executive compensation consulting, landed my first PR job thanks to the advice of a college friend. She was working at a small boutique PR firm called Krause Taylor Associates (KTA). At KTA I learned that I had a passion for technology, and for translating companies’ stories into something compelling to an audience. It was amazing, doing something I was good at and actually enjoyed. It didn’t hurt that I also had the chance to work with two of the most amazing women in PR, Betty Taylor and Barbara Krause. From KTA, I joined Voce Communications where I met some of the most fiery characters in valley PR. And, fatefully had my first introduction to social media, from the original social media guerilla – Mike Manuel. When I first learned about the concepts of social media I knew I had to get “in.” The team that was doing social media seemed so cool, and what they were doing so fun. So, after bothering, stalking, hounding, they finally let me in on my first social media account with Sony Computer Entertainment America. It was like opening the flood gates, and soon I transitioned completely away from PR to full-time social media with a variety of interesting companies. A few years later, I was given the ultimate opportunity: to become NVIDIA’s first social media manager and strategist. To build something from scratch. At first people told me going into social media was a gamble – which scared me, because I’m extremely risk averse – but I couldn’t help being drawn to it. I followed my gut and stuck with social media and it’s been one of the best decisions of my life. Now, I watch the news as political anchors talk about the tweet that this congressman published, or that blog post from the Whitehouse. I see commercials for major multinational brands, that end with “Find us on Facebook.” Even the wax paper that wraps my sandwiches at lunch time have Facebook and Twitter usernames for the high-end bread company. Social media is everywhere, used by almost everyone (did you know that over 60 year olds are one of the faster demographics adopting social media?). Social media is constantly evolving, so while the tools may change the need for a means of communication that is truly egalitarian, that levels the playing field, and puts the power in the hands of the people, will not soon go away. It’s so exciting to be in this field, watching it evolve and grow from the ground up. I can’t think of a job I’d rather do, and I can’t tell you how lucky I feel to be a part of it. thank you, this post validates two of my long held beliefs: 1) that I am indeed important; and 2) that you’d probably excel at anything, but it’s nice to see you found something you truly enjoy doing.